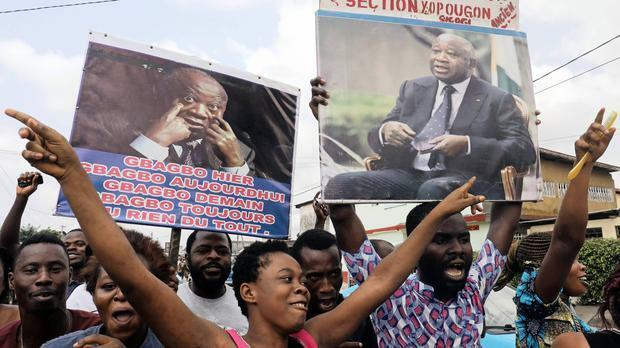 Shouts of delight exploded in Gagnoa, the home town of former Ivory Coast president Laurent Gbagbo, when the International Criminal Court (ICC) announced this week that he would be acquitted. That poll will be the first since the 2010-2011 post-electoral crisis in which President Alasanne Ouattara will be constitutionally unable to stand. It will be the first election since 2011 in which Gbagbo will be free and capable of running. Cote d’Ivoire spent nine years between 2002 and 2011 divided in half, with the north ruled by Force Nouvelles (FN) rebels who supported Ouattara. The south was run by then president Gbagbo, who refused to step down after the 2010-2011 election in which he was declared the loser. The ensuing gridlock sparked a civil war that killed more than 3,000 people in five months of fighting. Gbagbo was eventually forced from power with assistance from French and UN troops, detained, and sent to the ICC. There have been no effective prosecutions against Ouattara supporters, even if it is widely acknowledged that followers of both Ouattara and Gbagbo committed heinous crimes before, during, and after the 2010-2011 conflict. This situation has angered victims on both sides, who saw the justice process as slow, ineffective, and unequal. So there is now a strong chance that the election in 2020 could be a three-horse race between Bedie, Ouattara, and Gbagbo – a mirror image of the 2010 election that triggered the post-electoral crisis. With impunity and injustice pervasive, politicians will have to ensure they tread carefully if 2020 is not to end up as the 2010 election did – with one leader headed to the ICC. * Jessica Moody is an ESRC-funded PhD candidate in the war studies department at Kings College London. She is researching post-conflict peace-building in Cote d’Ivoire and lived there from October 2017- December 2018. Jessica also works as a freelance political risk analyst focusing on west and central Africa. She has written reports for IHS, the Economist Intelligence Unit, The FT’s “This is Africa” publication, and African Arguments.